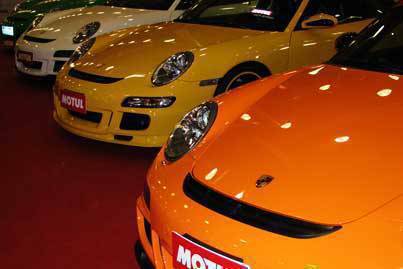 The Manila International Motor Show (MIAS) moves on its fifth year despite the troubled times in the motoring industry. The gloom on the automotive sector, however, just can't stop the general motoring public from one of the country's premier auto event. On opening day the deluge of guests only kept the spirits of the industry up. People still want to see and know what's new and available - whether it be a new model or something to add on if they intend to hold on to their current vehicles while weathering the current world economic crisis. "The first day is really promising. We expect around 70,000 visitors to come this year," said Alvin Uy, one of the MIAS organizers. The center of attraction is world precision driving champion Russ Swift - back on his third year in association with Motor Image Philippines, the sole distributor of Subaru Automobiles. You would think that after three years people would have the been-there-done-that attitude, but to our amazement there was no show of hands when the host asked if anyone in the crowd has seen Swift's car stunts. Subaru also boosted the energy level at the MIAS with the launch of the sedan variant of its popular Impreza. It is available in two grade marks - the WRX with nearly 230 HP and the more docile 150 HP 2.0 R/S - both in full external body trim, tires and wheels. 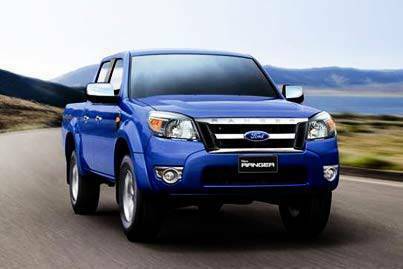 Most noticeable in the show is the great increase of Chinese car and truck manufacturers displaying their new products and beginning to nip a share of the still growing local automotive market. Manufacturers Chana, Chery, Foton, Great Wall and Lifan may be the first wave of Chinese-manufactured brands that could sweep the market - thanks to their low cost to acquire and operate. The names may not strike a chord now but given enough time they could be household names like the better known auto brands. After all, it took Korean car manufacturers 20 years to get to where they are in the local automotive scene. Besides, the Chinese have historically been very patient on their approach in many things and car manufacturing is beginning to look like one of those they intend to master soon. Something new to see, and maybe even own due to the rising cost of fuel and environmental issues of petroleum-based motoring, is the REVAi electric car whose booth lies at the center of the MIAS floor. Geared towards the mass market, the REVAi is large enough as a city runabout that would ease the burden of the urban dweller with its comfortable size. It has no emission to worsen the already polluted urban landscape as it runs on eight 6 volts lead acid batteries. Full charging of the batteries takes only 8 hours and will allow travel of up to 80 kilometers. Uy said the MIAS is also featuring more classic cars this year with the participation of many classic car enthusiasts. The MIAS is out to please every car nut in town until April 5.